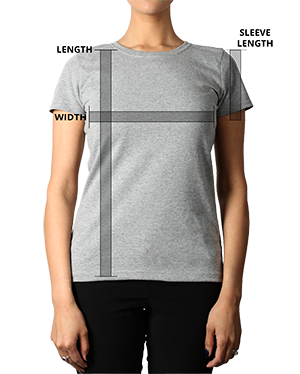 100% Cotton Pre-shrunk Jersey Classic ladies styling with a feminine neckline, sleeves and fit. *All Clearance items size availability are subject to change. Double-needle sleeve and bottom hem Shoulder-to-shoulder taping. Place one end of the tape measure under your arm and wrap across the fullest part of your chest. Round up to the nearest half inch and mark the measurement.e.